Peg, I'm happy to report that Little Blue has been added to the finished list. I used white flannel for the back with some pieced scraps left from the front. The flannel was left over from covering my design wall. The binding is a very faint pink...I like the kiss of pink on this quilt. 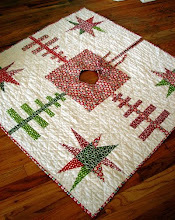 The quilting is very simple random lines in a fan shape across the quilt. Though it's not my favorite I think it will give comfort to a child, so I'm satisfied with it. My two donation quilts, Little Blue and this one are done and ready to be delivered. 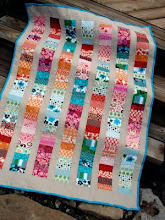 I've been doing some thinking about what I would like to have finished for Peg's Five by the end of July Challenge and here they are. Some are barely started so it would be quite an accomplishment if I could turn them all into finished quilts that quickly. Thanks to Peg for the motivation! Hey...head here for a fabulous fabric giveaway to celebrate the opening of Fresh Squeezed Fabrics. A new store you can check out here! 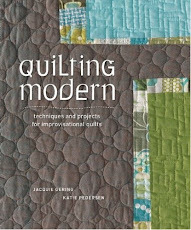 I love your quilts, Jacquie! I love the fabric you pick and the designs you use. I have never seen a quilt quilted like this one. It looks cool! lovely! and i ,too, love the "kiss of pink". So fun with the kiss! 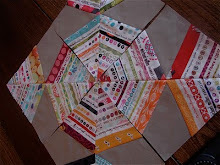 Your quilting is very inventive - I may have to try that =) Thanks for the inspiration! Well done on finishing one. I like the quilting pattern. oh wow! it turned out absolutely gorgeous! =) the pink? it is perfect!!!!! I like the kiss of pink. the quilt turned out wonderfully. good luck on the remaining 4! Jacquie, it is perfect. The pink is the perfect kind of kiss. Just a peck, not a tongue kiss or make out session! I think you are on a great streak. Don't forget you can add a little quilt to the list. Oh the quilt is just perfect! 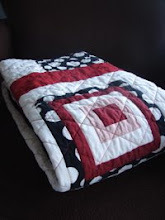 The quilting is really neat, thank you for sharing! So calm and serene. What a great feeling this quilt has. Little Blue turned our perfectly - the pale pink border was a most inspired choice - just adds a lovely finishing touch. I am sure it will bring comfort and warmth to a special little someone! It looks fantastic. I love this quilt. wow! 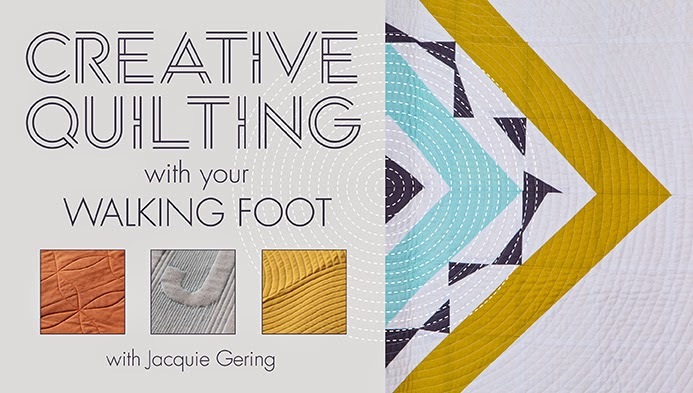 those diagonal quilting lines look so great! Can't wait to see all 5 that you finish! Good Luck! That is going to be someone's favorite quilt! 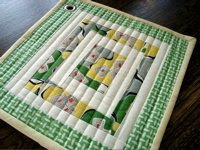 I like the quilting pattern too. The quilt is great. You are so talented! I love your first improvised quilt so much. 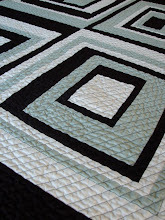 Love your quilting design. You do the best stuff!! Thanks for the giveaway tip. That very soft kiss of pink is just perfect. 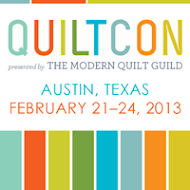 LOVE your radiating quilting lines!! !